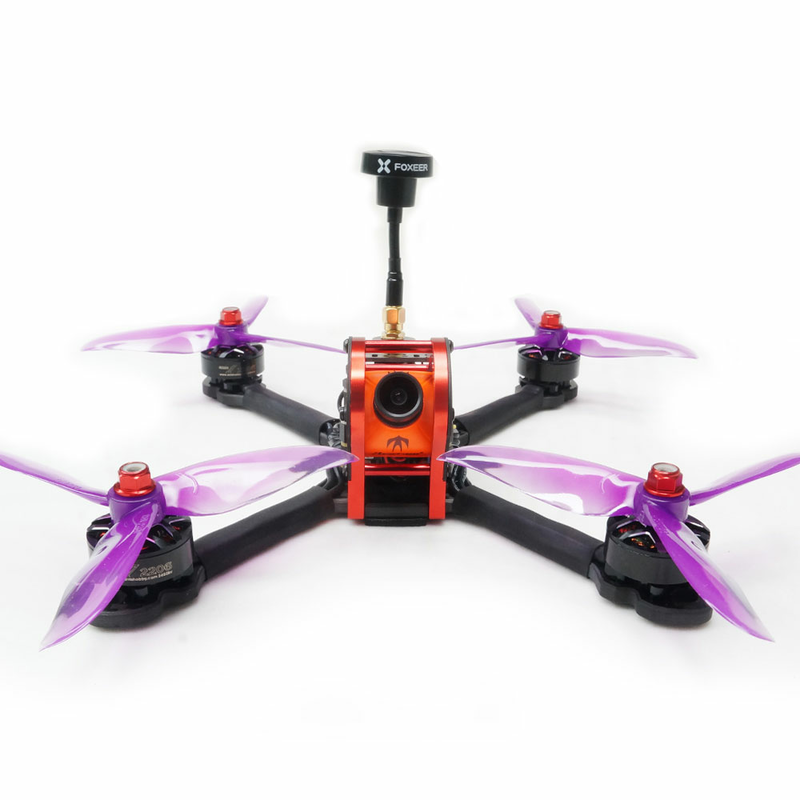 ARRIS X210S 210MM FPV racing quadcopter is the first stretch X structure design quad releaded by ARRIS. 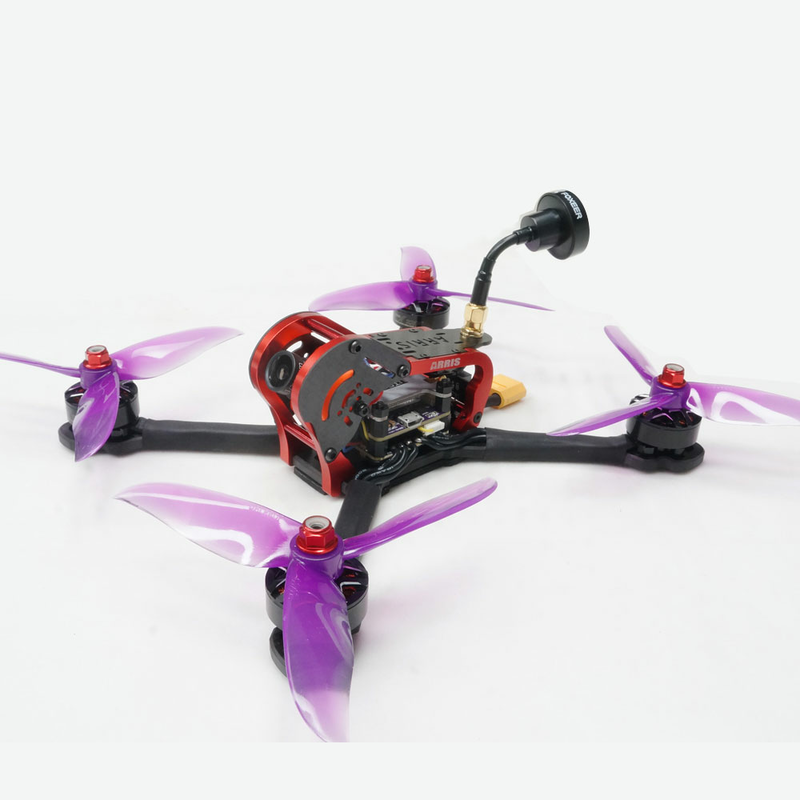 It adopts ultra light 5mm carbon fiber frame with high strength alluminum alloy parts ensure the strength of the frame, very resistant to crash.The ARRIS X210S BNF version comes with ARRIS X2206 2450KV brsuhless motor, Omnibus F4 flight controller, 4in1 30A BLHELI-S ESC,Runcam Swift 2 fpv camera, VT5804 V2 48CH switchable VTX and Foxeer pagoda pro mini antenna.It is fully assembled. The receiver, radio, battery, charger is optional!!! The ARRIS X210S fame is made of high quality 5mm carbon fiber plate, equiped the aviation aluminum parts on the two side to ensure strength of the quad during crash.Both sides of the arms has Chamfered edge design, not only give the frame a sleek look, but also reduce the wind resistance during flight. ARRIS X2206 2450KV brushless motor adopts brand new M5 steel shaft, original Japa NSK bearing ad N52 tile-shaped magnets, which improve the structure strength of the motor.Another feature is the centrifugal fan design,this optimize the heat dissipation. Dalprop T5046C is made of imported PC,the strength is high, and the root is thickened,which make the propeller is not easily broken.The smooth surface design on the prop decreased the windage resistance,increasing the efficiency of the propeller. Omnibus F4 flight controller, supports PPM,SBUS,SPEKTRUM 1024/2048 etc. remote control / receiving mode.The firmware is Betaflight_OMNIBUSF4SD. 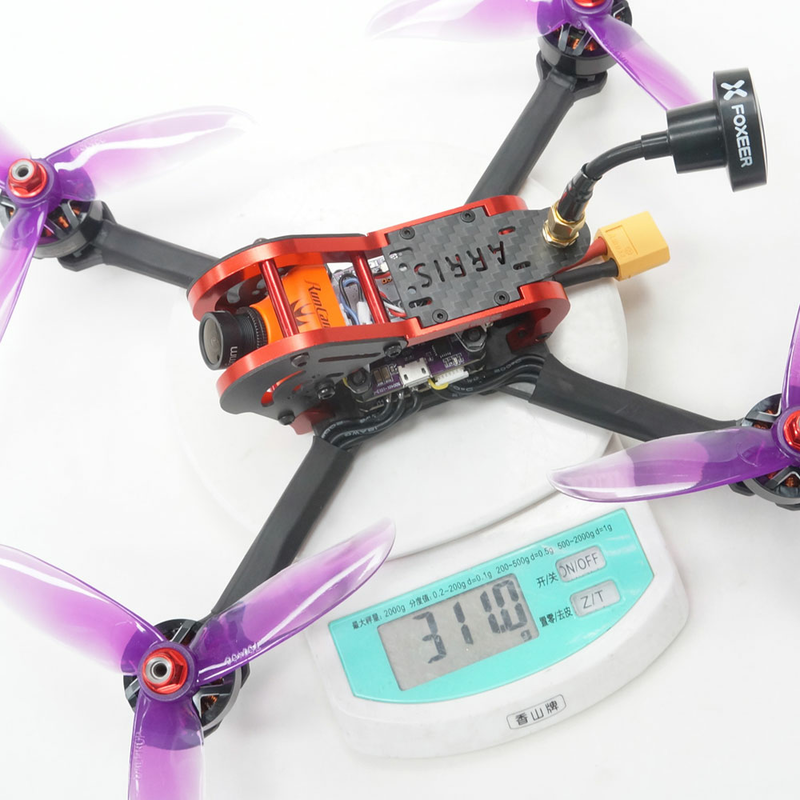 The 4in1 30A ESC comes with BLHeli-S firmware, which support oneshot 125,multishot and dshot150, dshot 300 and dshot 600. With it, you will get smoother throtle response. The power of the ARRIS VT5804 V2 48CH VTX is switchabe among 0mw/25mw/100mw/200mw/400mw/600mw.It is only 6g, but it has stable output power, long transmission range (0.5KM+@25mW; 1KM@200mW; 2KM+@600mW). RunCam Swift 2 micro camera�is one of the most popular fpv camera in the market. One of main feature of the Runcam swift 2 camera is the integrated OSD, with this, it can displays the input voltage of the camera or the battery voltage.And the angle is adjustable here. Foxeer Pagoda PRO mini 5.8G antenna adopts high quality material and reinforcement design, which can bent to any angle and withstand high strength impact well. ARRIS X210S reserved place for GoPro or Sports camera on top, easy to install.